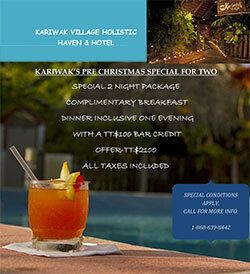 Home » Blogs » kariwak's blog » Kariwak's Pre Christmas Special for Two! Special conditions apply. Call for more info.